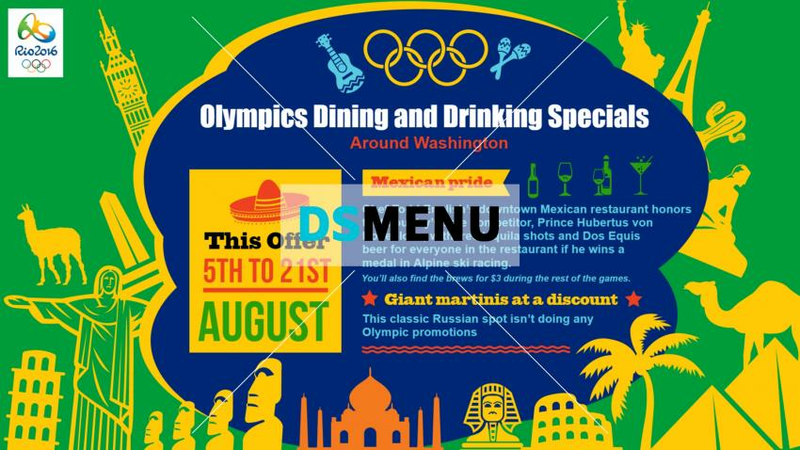 Olympic special menu boards to show offers. Colorful fonts are used to make the menu items prominent. Colorful food icons are used on the menuboard. To spice it up brazil landscape is designed on colorful background. The menu board is ready for edit and download.